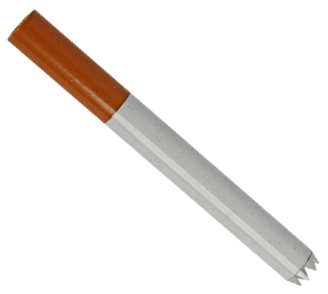 This 3 1/8" cigarette design aluminum tobacco bat is designed for standard size Dugouts and features sharp teeth at the end of the bowl section allowing it to better cut through your tobacco when retrieving it from your Dugout's storage compartment. This aluminum bat is made from lighter metal than nickel and brass ones which allows it to cool off faster after you finish using it. Please note that sometimes these come plain as shown and sometimes they have a small logo on the side.